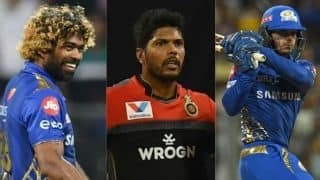 Hello and welcome to CricketCountry’s live coverage of VIVO IPL 2018, Match 31. 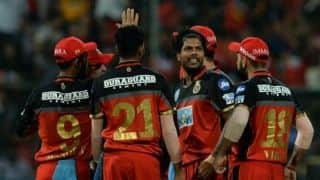 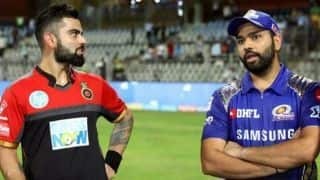 Virat Kohli's Royal Challengers Bangalore (RCB) were impressive in the field to restrict Mumbai Indians (MI) in Match 31 of IPL 2018. 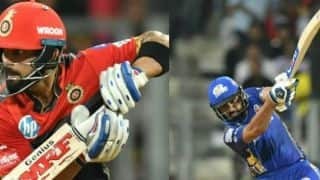 In their reverse fixture, Royal Challengers Bangalore (RCB) lost to Mumbai Indians (MI) in a high-scoring encounter. 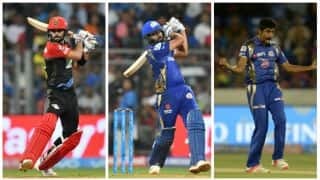 Rohit Sharma played a fine knock of 52-ball 94 in Match 15 of 2018 IPL. 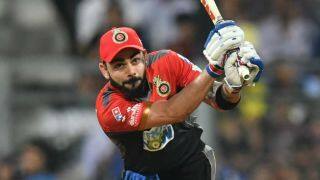 Virat Kohli played a lone battle with his knock of 62-ball 92. 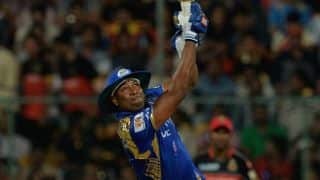 Evin Lewis scored his maiden IPL fifty with his knock of 42-ball 65. 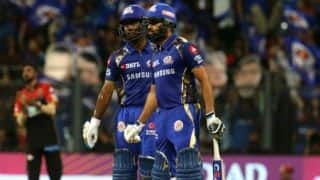 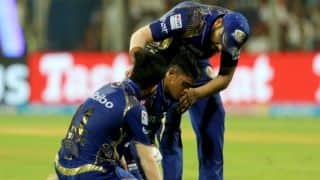 MI registered their first win in 2018 IPL by defeating RCB by 46 runs despite Virat Kohli's 92*. 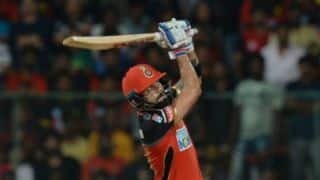 Kohli became the first cricketer in the world to score 5,000 runs for a single team. 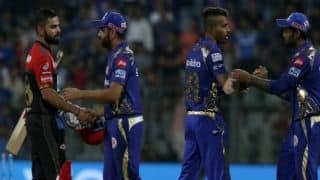 RCB finished 46 runs short of MI's score. 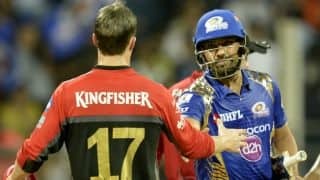 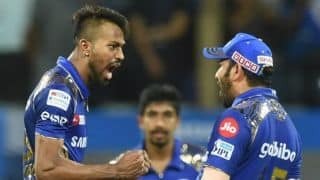 MI have a clear edge over RCB in terms of head to head record of 13:8. 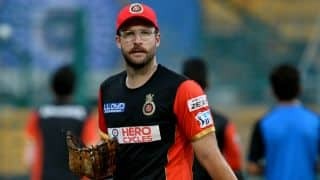 Pollard has scored 203 runs from 6 matches at 50.75 against RCB at Wankhede Stadium with strike rate of 175.